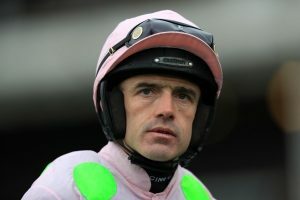 Ruby Walsh is an Irish jockey of some acclaim. In his career he’s amassed over 2500 wins and has won just about everything there is to win. In part this can be put down to his own racing pedigree, on account that he’s the son of former champion jockey Ted Walsh. Ruby, or Rupert to use his birthname, wasted no time in getting involved in racing. At the tender age of 18, County Kildare born Walsh was already well on his way, and won the Irish amateur jockey title two years (1996/7, 1997/8) in a row before turning professional. To say that he came on leaps and bounds from there is something of an understatement, on account that in the year 2000 he won the jewel in the racing crown, The Aintree Grand National, on Papillon. Papillon, a horse trained by Ruby Walsh’s father was by no means a favourite (starting at 33-1 before being backed in) and so this was quite some achievement for Walsh who was still only 20. The same year the father-son duo won the Irish Grand National too. In 2004/2005, Walsh went one National better, winning the Irish Grand National (on Numbersixvalverde), the Welsh (on Silver Birch) and the English (on Hedgehunter). he was narrowly beaten in the Scottish Grand National the same year. This alone is an amazing achievement, but he’s also made serious inroads into becoming something of a Cheltenham Festival legend. In fact he’s accumulated a staggering 58 winners at the Festival. There’s not much he hasn’t ticked off the list, with highlights being winning the Queen Mother Champion Chase in 2004, 2008 and 2009, and the Cheltenham Gold Cup twice with Kauto Star – in 2007 and 2009 – the first time a horse has reclaimed the title. He’s been leading jockey at the Cheltenham Festival on 11 separate occasions. One less than the number of times he’s been made Irish Jump Jockey champion. The Tingle Creek Chase, King George VI Chase, Champion Hurdle, Hennessy Gold Cup, Walsh has won and done it all. He’s suffered injuries over the years but always came back from them and at age 39 he still seems to have plenty of gas in the tank.